Center Street Grill: Get a Classic Burger for $5! It’s winter outside, but inside Center Street Grill it’s warm and delicious! 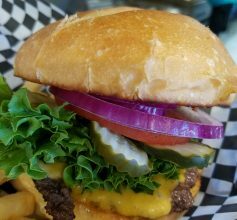 Get ANY Classic Burger for $5 when you mention The Dealio! *Limit of 3 per party. *Offer valid 2/13.